Review: SINGER 14CG754 ProFinish Serger Machine - Good or Bad? 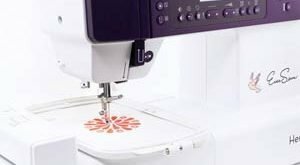 The SINGER 14CG754 is a dependable Serger sewing machine that is priced quite reasonably. The price point of this machine is certainly a come on for a leading brand. Aside from this, the machine actually comes at a bargain since it is loaded with a lot of features that can help make clean and smooth looking end products. Why choose SINGER 14CG754 Sewing Machine? Once you open the box of the SINGER 14CG754, you will be surprised to find out that it is already threaded. Add to that it’s very easy to thread it. However, the machine makes some moderate noise but in no way can it be distracting. The quality of the stitching is very good and produces consistent results. This provides professional and clean looking products. This machine is very easy to maintain and is not costly compared to other sergers in its class. Instructions in the users’ manual can be easily understood. The thread cutter is one of the best in the field because it cuts thread in a clean and straight manner. It comes with a differential feeding that makes changing of threads very easy. The best thing though is that this comes with a free arm which is something you do not often see in reasonably priced sergers. One of the highest points that one can enjoy in the SINGER 14CG754 is the presence of a differential feed controller which manages the amount of fabric being handled by the machine. There are two modes to choose from regarding the differential. These are stretch fabric, which are the more delicate and thin type, and regular fabric. The free arm comes in handy for sewing requirements for sleeves and cuffs. The only thing you will have to do is to detach the clothing plate of the machine. Thread tension can be easily adjusted to your requirement. By simply adjusting the lever, you simply switch to rolled hemming mode. 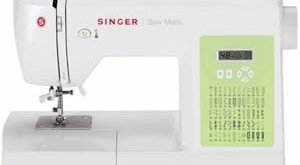 The SINGER 14CG754 weighs a moderate 17 pounds which is the usual weight of all entry level sewing machine. It comes with a portability handle that allows the user to carry it anywhere. It has an adjustable upper cutter which is a detail often seen in moderate to high priced sewing machines. There is a dial that can be turned to adjust the length of the stitches. Sewing multi layer fabric can be handled with the presser foot lift. 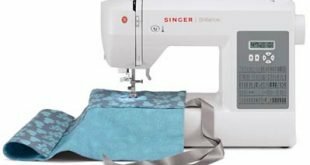 Who should use SINGER 14CG754 Sewing Machine? 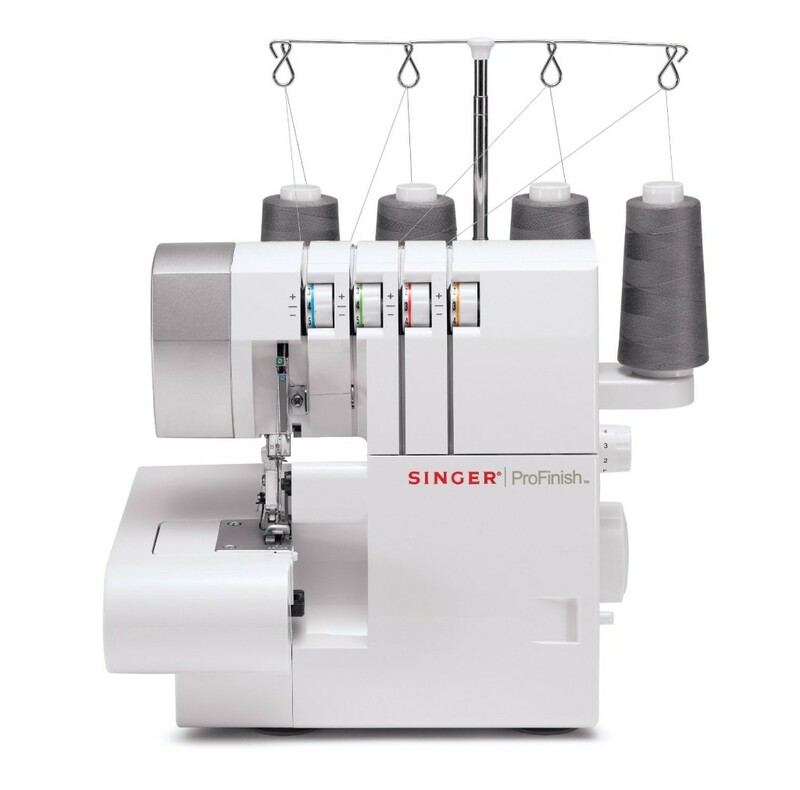 The SINGER 14CG754 is a machine that has a lot of features for an entry level machine. This can make beginners stretch their imaginations about their creations within the young limits of their creativity. This is the perfect serger for them. This may include teenage girls who want to try stitching and sewing in the summer.